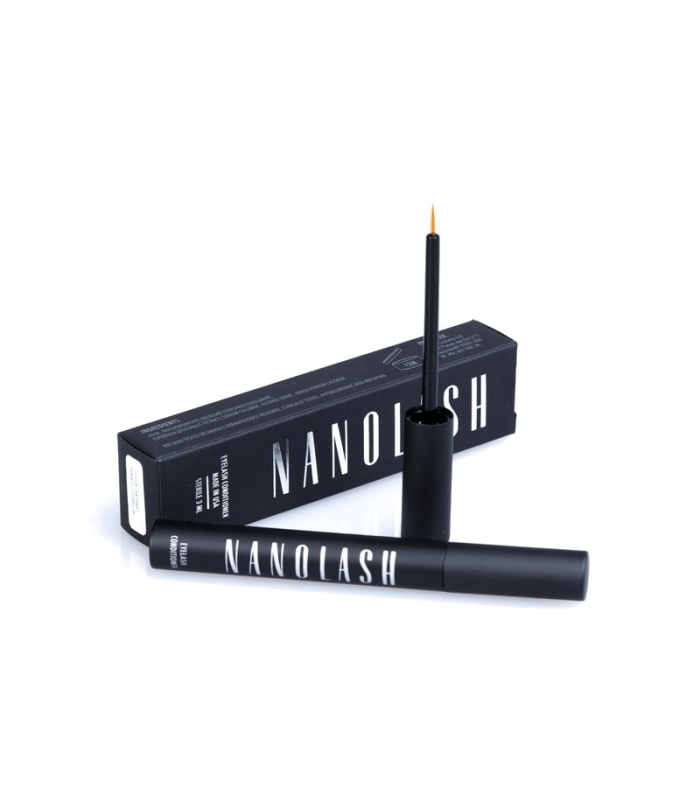 Nanolash is an opthamologist-tested product used to strengthen and lengthen eyelashes. The company claims that it's safe for sensitive eyes, and that users will begin to see results as early as four weeks. Nanolash claims to have a unique formula made of natural, high-quality ingredients. With continued use, this formula is designed to leave the lashes looking lush, long, and voluminous. They claim to have helped customers around the globe achieve the lashes of their dreams. But do their claims add up? Nanolash is simple to apply, making it an easy addition to any girl's beauty routine. Users are directed to swipe the applicator across the area where the eyelashes meet the skin. This should be done at least once per day. The serum is quickly absorbed, and it soon begins to penetrate the skin. It reaches deep into the roots of the lashes. 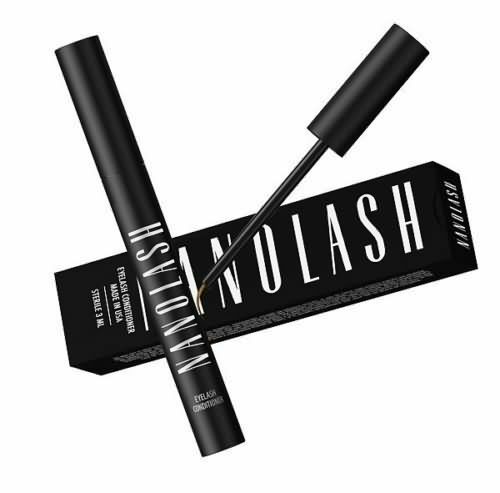 For some users, the unique Nanolash formula leaves them with the long, sultry lashes they desire. For others, however, the Nanolash formula isn't quite up to the task. Nanolash claims that users will begin to see a marked difference in eyelash length at the 4-week mark. At 6-weeks users will see even more growth, and they should achieve full results by week 8. While some users do see impressive growth, others are less impressed. 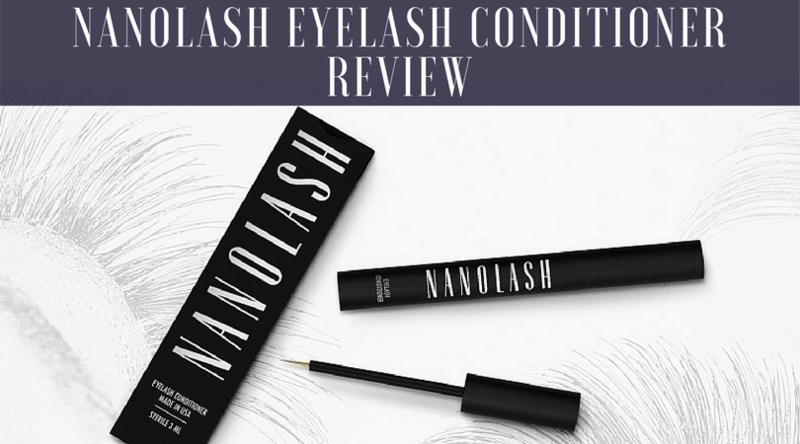 Some negative reviews suggest that an entire round of Nanolash left them with unchanged eyelashes. Other reviewers complain about the price tag. This eyelash serum is more expensive than many of its competitors. Nanolash claims that it can be safely used on sensitive eyes. Some reviewers disagree, however, saying that they experienced itchiness and other irritation. Some users claim that Nanolash altered the color of their eyelids, leaving the skin around the eyes red and inflamed. This side effect may be especially concerning for people with sensitive skin. Nanolash serum is housed in a small tube, which comes with a precise applicator. Once opened, the serum is supposed to last for up to 12 months. The main ingredient in Nanolash is Trifluoromethyl Dechloro Ethylprostenolamide, a prostaglandin derivative commonly found in eyelash enhancing serums. This ingredient works by mimicking the natural hormones that lead to long, healthy lashes. The serum also contains water, Euphrasia Officinalis Extract, Sodium Chloride, Alcohol Denat, and Benzalkonium Chloride. Applying Nanolash is a lot like applying liquid eyeliner. Before applying the serum, users should make sure the skin around the eyes is completely clean. There should be no makeup, leftover eye cream, or dampness. Then the product should be applied to the upper and lower lash lines, and left overnight so that it can truly penetrate the lash follicles. The Reviews – Are They Good? Nanolash gets reviews across the spectrum. Some users notice eyelash growth within a few weeks, and are happy with their new, voluminous lashes. Others, however, experience a host of side effects. These range from the relatively minor, like itchiness and redness, to more serious conditions. Before choosing to use Nanolash, people should do their research. If they have previously experienced irritation related to eyelash growth serums, Nanolash may produce similar side effects. Some users also complain about the amount of serum they get for the price spent. Nanolash isn't the most affordable serum on the market, and the 3ml-sized bottle doesn't always last. Users who are new to the world of eyelash enhancers may want to try a less expensive product before sampling Nanolash. Nanolash customers tend to have several concerns. For one thing, not everyone achieves full, long lashes. Some users experience irritation, despite the fact that Nanolash claims it can be used on sensitive skin. This irritation is likely caused by the presence of Trifluoromethyl Dechloro Ethylprostenolamide. While this is a common ingredient in many eyelash serums, it's not well tolerated by all users. If you're looking for an affordable way to boost your lashes, Nanolash Eyelash Serum may not be the product for you. At over $50 per tube, this serum is too pricy for the variable results it provides. What's better than Nanolash Serum? 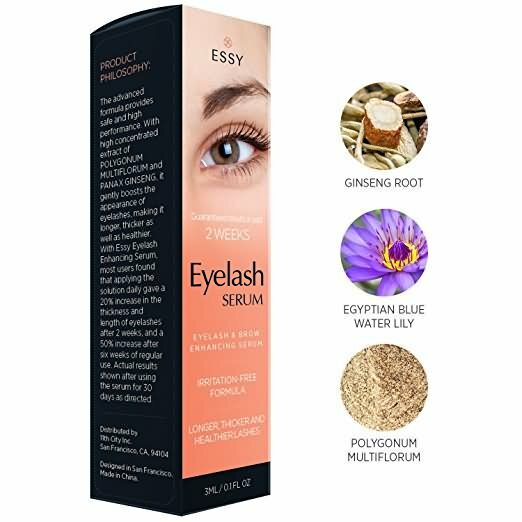 Essy natural eyelash growth enhancer is manufactured by Essy Beauty. The product is said to have an advanced formula that makes your lashes grow longer and thicker. They claim that the product is clinically proven to increase the length of your lashes within two weeks if used daily. The manufacturer also maintains that the serum is made of natural products which do not cause eye irritation. 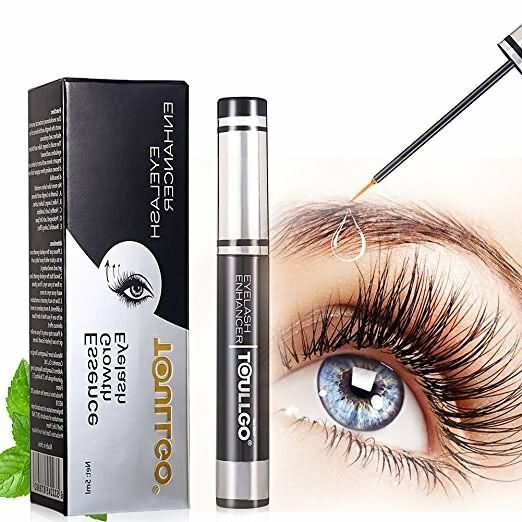 This eyelash growth enhancer is made using Polygonum multiflorum and Panax ginseng. It comes with an applicator brush that is used to apply the product, preferably in the evening before bedtime. The price of this product very high, especially if you consider the fact that you are just buying three millilitres of the serum. The product does not darken your lashes. This means you will still have to use mascara for your lashes. You cannot apply the product as makeup; you have to wait to apply it at night. There are reports that the serum causes some irritation to the eye, and this results in the reddening of the eyes. Although the manufacturer assures us that the product is natural and safe, many users have experienced side effects. So, you need to make sure that you do a test on your skin before you decide to use the product. The side effects of the serum vary among the different users. It might significantly work differently in women who are pregnant or nursing. Women who have a medical condition or have had a history of heart conditions should especially avoid using the product because of its unpredictability. Here are the side effects of this eyelash growth enhancer. In spite of the manufacturer’s affirmations, there have been reports where the product irritates the eye. This usually leads to the reddening of the eyes.The brown pigmentation on the iris will become permanent over time. In some users, the serum has made the eyelashes grow irregularly. Because of that, the lashes look lumpy, and this beats the purpose of buying the product in the first place. There have been reports of users feeling dizzy after application of this product. When used with other products like phenoxyethanol, it might cause vomiting and diarrhea. This usually happens to infants. The product can also affect the central nervous system and lead to facial dermatitis. There are women who have developed blurred vision after using the eyelash growth enhancer. This was experienced after a few hours or days of using the products. One of the main concerns of this product is that most of the positive review of the product have been made by unverified Amazon customers. 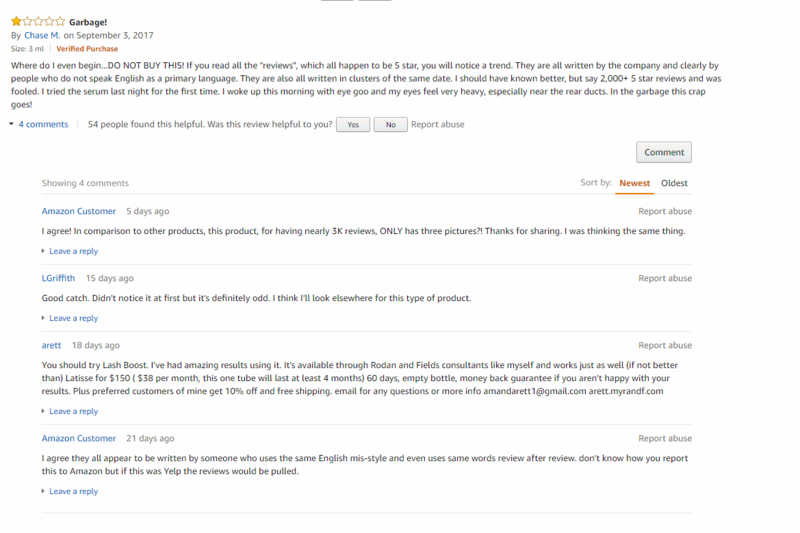 It is highly likely that the reviews were all left by the same person, or the manufacturer paid for the reviews. We found only 2 positive reviews with photos. And these photos appear to be made by same person which is a red flag for us. Essy eyelash growth enhancer is a relatively poor product. The side effects of the products are not worth the risk. And in comparison to other products, this product for having over 3,000 5 star reviews on Amazon from unverified customers, only has three pictures. This is a big sign for us that the manufacturer uses grey techniques to fool its customers into buying the serum. What's better than Essy Eyelash? 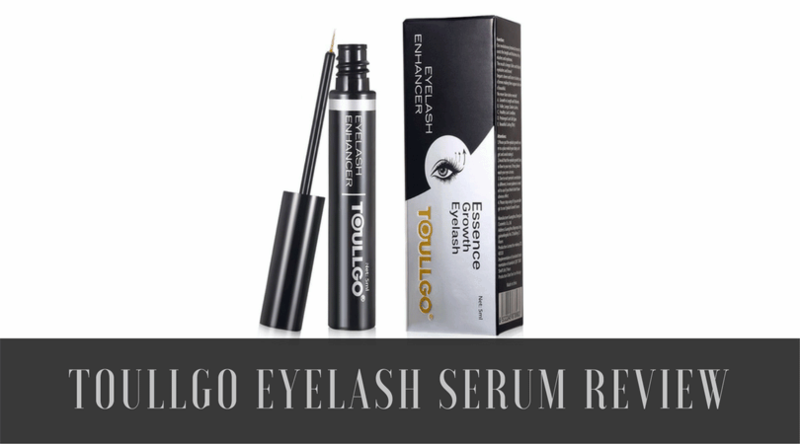 Toullgo serum offers a customer the ability to get long eyelashes and regrowth of thick eyebrows. This product also claims to prevent thinning and breakout of the brows and lashes. While it has a significant amount of customer reviews, this serum fails to provide tangible evidence about its benefits. Also, there are customers who despite using the product for the duration required, have failed to notice any differences. 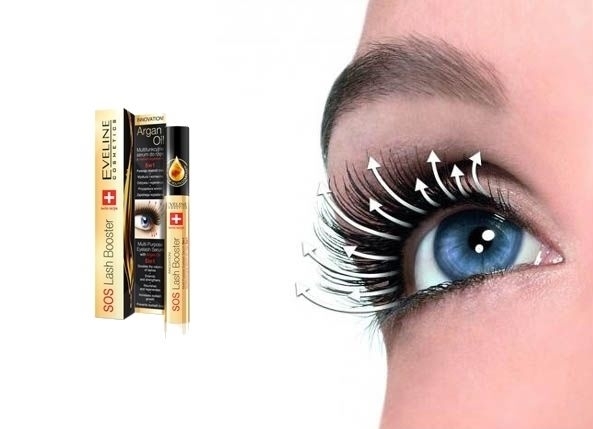 The ultimate reason for purchasing eyelash serum is to have noticeable results, and that’s why we gather information to find out whether using this product may lead to having long eyelashes and strong eyebrows. What the company claims about this product. Toullgo uses a serum which is a component that functions to deliver active ingredients of the product on the skin. However, the product’s claim to use botanical serum without scientific prove is misleading. While the serum price is $20.99, the long waiting period of 4-6 weeks means purchasing more bottles which translate to a higher product price. Paying a high price without the guaranteed results leaves customers feeling frustrated. It’s a two in one product. You can apply the serum on the eyebrows and eyelashes. Product application is straightforward. You need to use the serum twice a day on a makeup-free face. You’ll end up paying a higher price. You need to buy two to three bottles to get results. Has negative effects. Can cause allergic reactions and eye irritation when in contact with eyes. Lacks evidence. There are no clinical trials to prove the stated benefits of this serum. Irritation. The fluid state of this serum makes it possible to drop in the eye causing irritation and redness of eyes. The company suggests that when this occurs, you should wash your eyes immediately. Allergic reaction. Because of lack of clinical trials this serum can cause allergy reactions. Toullgo justifies the reason for the allergic reaction is because each person reacts differently. When you experience any adverse effects around the eye area, then discontinue using the product. However, a warning from this company explains that if you break the application cycle, you will have poor results as you will limit absorption of the nutrients. Has unknown side effects. They also recommends you put this serum away from children’s reach which suggests adverse effects if consumed even in a small dose. Compared to the amount of mascara and price of eyelash curler frequently used to give a temporary effect of longer eyelashes, this serum might be an alternative to getting lasting results. The recommendation for application is on a daily basis in the morning and at night on clean eyes with no makeup. The treatment duration is between 4 to 6 weeks and to attain thicker brows and longer eyelashes you need to use 2 to 3 bottles of the serum. Is there scientific evidence to back up the benefits of this product? Apart from the reviews given by the customers, this serum lacks any clinical evidence to prove that it can deliver the benefits it claims. They further insist that the serum is safe for anyone to use yet have not included any reports of product safety. These contradictions together with negative reviews given by customers who have tried using this product show red flags that are hard to ignore. This product has vague explanations on how it work. It doesn’t give a clear distinction on whether or not the serum is oil based. Also, it fails to explain whether it’s safe for a customer to apply the serum while still wearing eyelash extension. Failure to apply the serum even in one day will stop the growth and to efficiently reach the roots you need first to comb your brows and lashes with a mascara brush. Despite its benefits, these concerns show that there’s a better product as compared to what they are offering. While the idea of using natural ingredients to make a product can entice us, the lack of medical evidence to back up the nutrients it claims to provide makes it impossible to recommend this serum. Furthermore, the high cost of buying more than two bottles is a turn off considering the results are not certain. The continuous usage of the product for a longer time to see results makes us think that the moment we stop using the product, then our lashes and brows will return to their previous state. This is the same temporary solution that we were trying to avoid in the first place. For that, we do not recommend this serum, and despite its good marketing strategies, there are superior products available. What's better than Toullgo Eyelash? 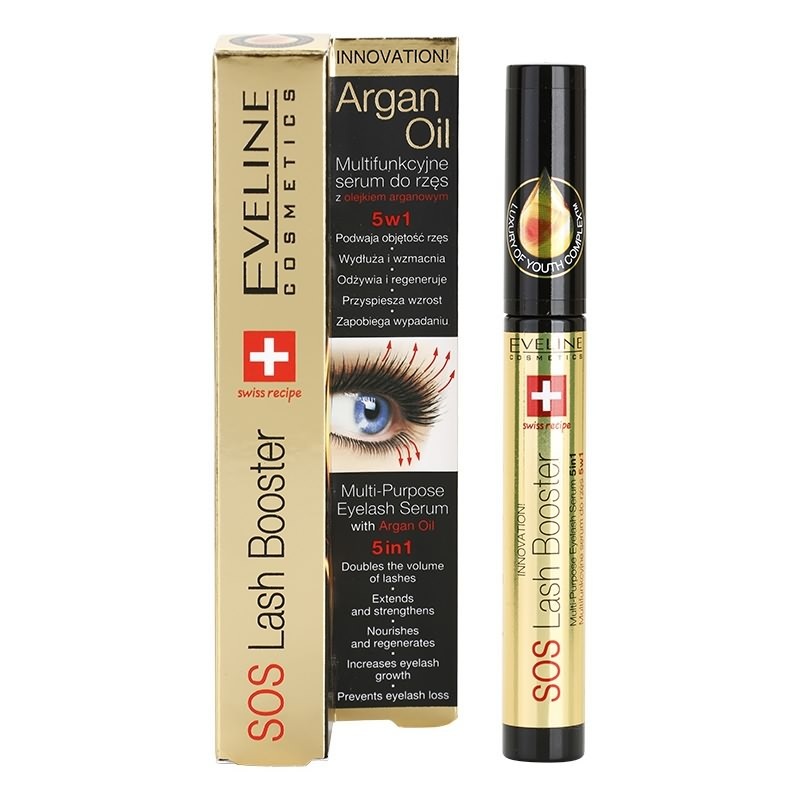 SOS Lash Booster is a 5-in-1 eyelashes booster created by Eveline Cosmetics LTD, Poland, which manufactures beauty products, including different serums. The company dwells on five fundamental principles when creating this product. It promises to double the volume of your lashes, strengthen, and extend them. Also, it nourishes and regenerates lashes while also preventing their loss. Argan oil is added to this serum to enhance growth. Panthenol, another active ingredient penetrates the lashes to quickly moisturize, smoothen, thicken, and protect them right from the roots. Can this product stand the test of time? It is inexpensive: A tube will cost you less than $ 10, yet it can last you six months after the initial use. 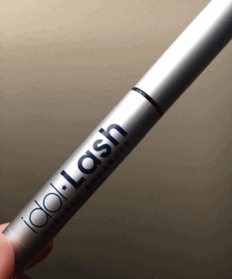 It is easy to use: The product comes in a mascara-like tube with a wand that you use to apply the serum. Easy to understand instructions: The manual that comes with this serum is easy to read and understand. It can be used in two ways: This serum can be used as a primer before applying your mascara too. Argan oil and hyaluronic acid will stimulate lashes growth. Redness of the eye, itching sensation at the application site, eye irritation, and dryness in the eye are some of the common side effects of using Latisse. Some customers have complained of darkening of the skin (hyperpigmentation) around the application site. There have been cases of the lashes falling out and discoloration of the eyes, may be due to being allergic to one or many of the ingredients, in which case, it is best to discontinue use and seek medical help. Irritation: Since you have to apply this serum very close to the eyes, you might experience some irritation. Your skin might also get irritated the first time you apply it. Use clean water to get rid of the irritation. Redness: If the serum gets in your eyes by mistake, it will lead to redness and itching. Avoid rubbing your lashes as this might get the serum in your eyes, leading to redness. If itching and redness persist, discontinue using the serum and contact your doctor. Hypopigmentation: This product has been reported to cause darkening of the lashes. Do a patch test: Prepare your face by removing all the makeup you might have. Wash and dry the face then proceed to apply a thin coat of this product on your lashes. Let the serum stay there for 24 hours and check for any signs of a reaction. Since this is a new product to you, you should not go all in at first lest you land in the ER. Go slow on the application: You need to give your skin time to adjust to a new product. You can easily do this by limiting the application frequency. Instead of applying the serum daily, go for a few days per week. This will reduce chances of severe side effects. As your lashes get used to the product, you can use it daily. The ingredients in use promise to penetrate deep into your lashes roots, thus working from within. You should expect to notice fuller looking lashes and less shedding. However, it has a downside- it is not water resistant. The cost - this serum is considered cheaper than most alternatives. Buyers Reviews - contradictory. Although some people swear by this product, most feel that it should rather be sold as a primer instead. Its white color is one of the negative properties of this serum. Some satisfied customers stated that you will have noticeable volume and less shedding which is the dream of most women. Science - there is a need for more tests to be carried out so that there will be more evidence to back this product's claims. The first deterrent is that no test groups have been organized to demonstrate the performance of this product. Buyers are made to have full faith in the ingredients listed and the promises this serum claims to deliver. This product promises to make lashes grow, among other things, yet most women prefer to use it as a primer before applying mascara. 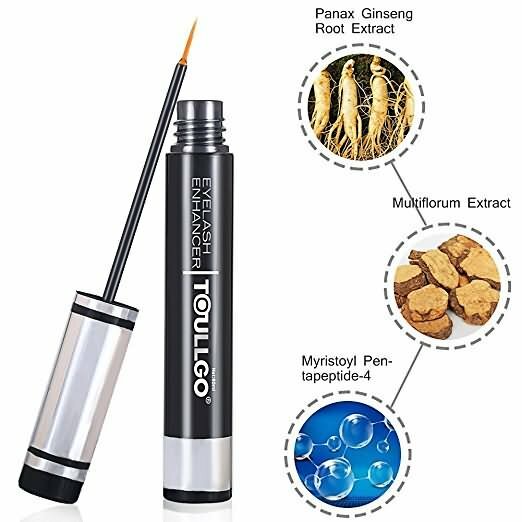 It is odd that even though this product uses argan oil as one its ingredients, most reviews have stated that there is no added lash length experienced. This means that you might buy this product, hoping to increase the length of your lashes but you will end up disappointed. It would be great to see independent tests of this product carried out. 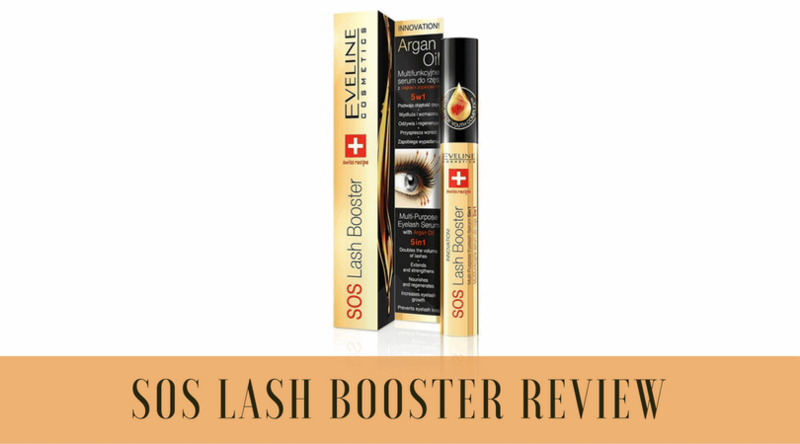 What's better than SOS Lash Booster? 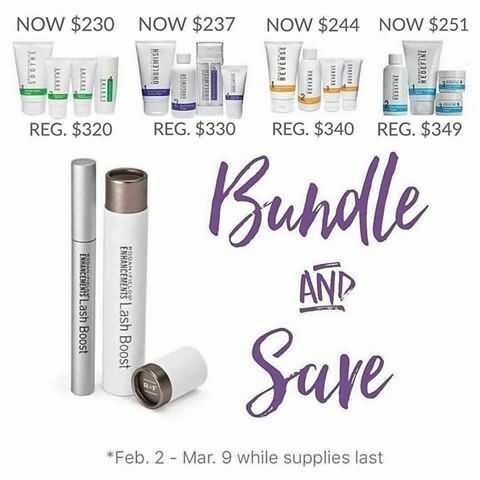 If you enroll as a Rodan and Fields consultant, you will be able to purchase Lash Boost at $112.00 versus the retail cost of $150.00 plus $11.95 shipping. Consultants get all products at a 25% discounted price. However, you would still need to pay a flat rate shipping of $9.95. If you are not a consultant, but you enroll to be a Preferred Customer, Lash Boost would be offered to you at $135.00, and with no shipping costs, no matter how many products you order at a time. Sometimes consultants run private flash sales and will offer their products at discounted prices, sometimes even as low as their cost. If they run a sale like this for Lash Boost, you would have to purchase it from them directly. You would not find this type of sale on their Rodan and Fields website. Unless they offer a cash back method where you can place your order online, and then a consultant would offer you cash back. There are multiple ways you can place orders, and consultants use different methods themselves when offering sales on products. 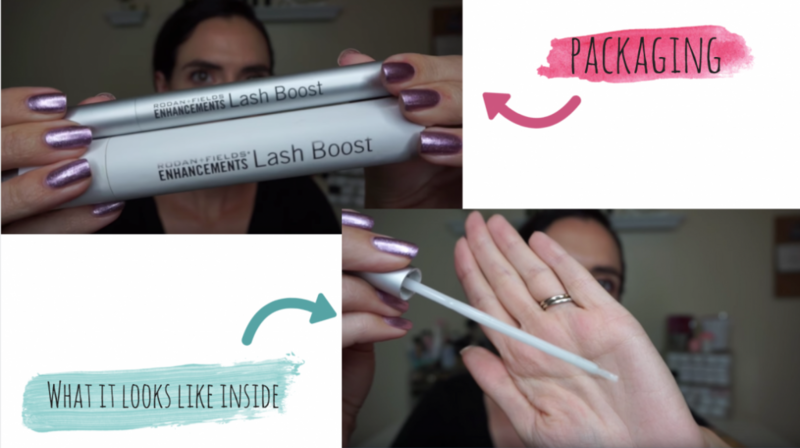 There are other ways to get your hands on Lash Boost other than purchasing directly from a consultant. You can find it through some main online retailers, such as ebay, and Amazon, linked below. Ebay has some listings for Lash Boost at $139.99 and $149.97, which is cheaper than retail cost. 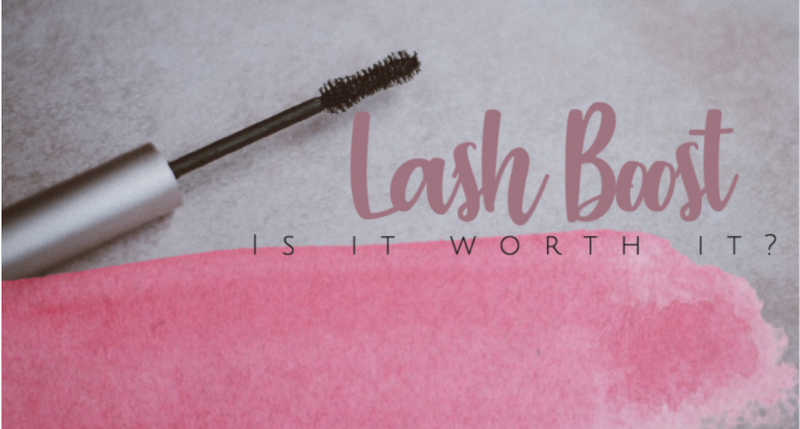 However, it is still more expensive that purchasing Lash Boost through a consultant as a Preferred Customer, or as a consultant yourself. Lash Boost appears to be even more expensive, however, on Amazon. Listings range anywhere from $150.00 to as much as $269.00! If you purchase Lash Boost through a Rodan and Fields consultant, all their products are backed by a 60 day money back guarantee. If you don't like a product, or it is not working for you, simply return it and get a full refund, empty bottles and all. Buying from other online retailers are not going to give you the 60 day money back guarantee. If you think you will keep purchasing this product, it is beneficial to sign up as a Preferred Customer through a consultant, especially if you are interested in purchasing other Rodan and Fields products. And because Lash Boost is not a one time forever fix, you will have to keep purchasing it if you want to continue to have the results. For this reason also, it would be better to purchase from a consultant, receive the discounts, and know exactly what you will be paying every time. There is also the possibility that you don't know where it is coming from if you purchase it through other online retailers. In addition, you won't be sure how old the product is, or how long it has sat unopened. When you order from a consultant, you can be sure that it is coming straight from Rodan and Fields as a fresh tube. 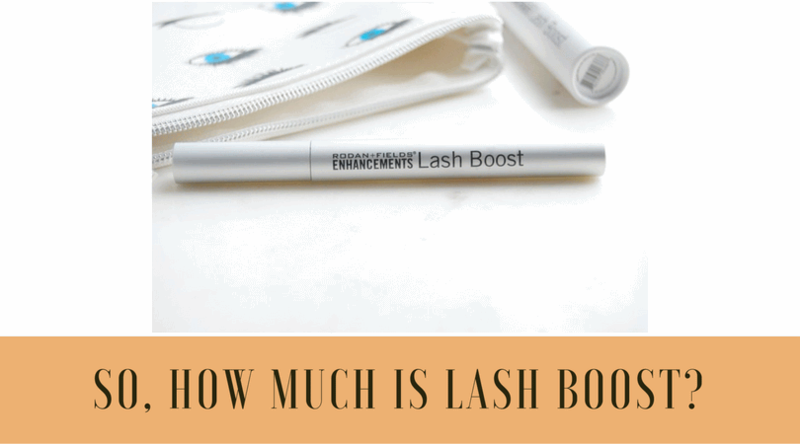 However, if the cost is your main concern, buying Lash Boost online elsewhere might be better if you can find it at a cheaper price. You also wouldn't be tied to a consultant purchasing it this way. ​What's a Better Alternative to Lash Boost? 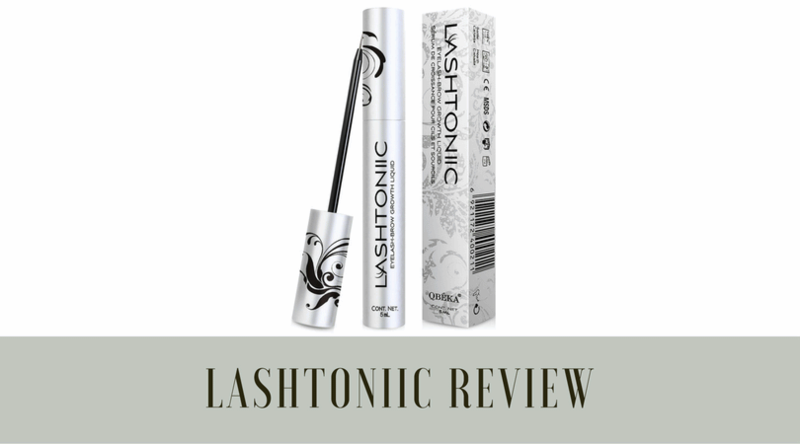 Lashtoniic Lash and Brow Serum is a serum used to enhance eyelash length, speed up growth, and add thickness to your lashes or brow hairs. The serum is created and sold by Essy Beauty, not to be confused with Essie nail products. 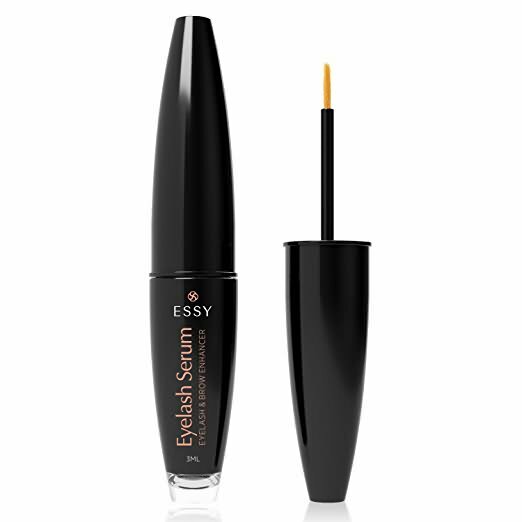 Essy Beauty claims that their lash and brow serum can enhance the overall quality and look of your lashes. They advertise their use of only natural ingredients to nourish proper hair growth, which also lowers risk of irritation from the product. They also claim that with everyday use, participants in a clinical trial reported up to a 55% increase in lash length. There are plenty of positive reviews available on Amazon for the product, however, 99% of the reviews are five stars and are all similarly written. This leads me to believe they were either paid for, or they are fake. A couple verified reviews that included real photos seem to be in favor of the product, though there are also multiple photos of eye irritation occurring after use of the product. These instances were quite severe irritations and should be taken into consideration, especially as there is no full ingredient list available online. This serum comes in a thin, mascara-shaped tube. 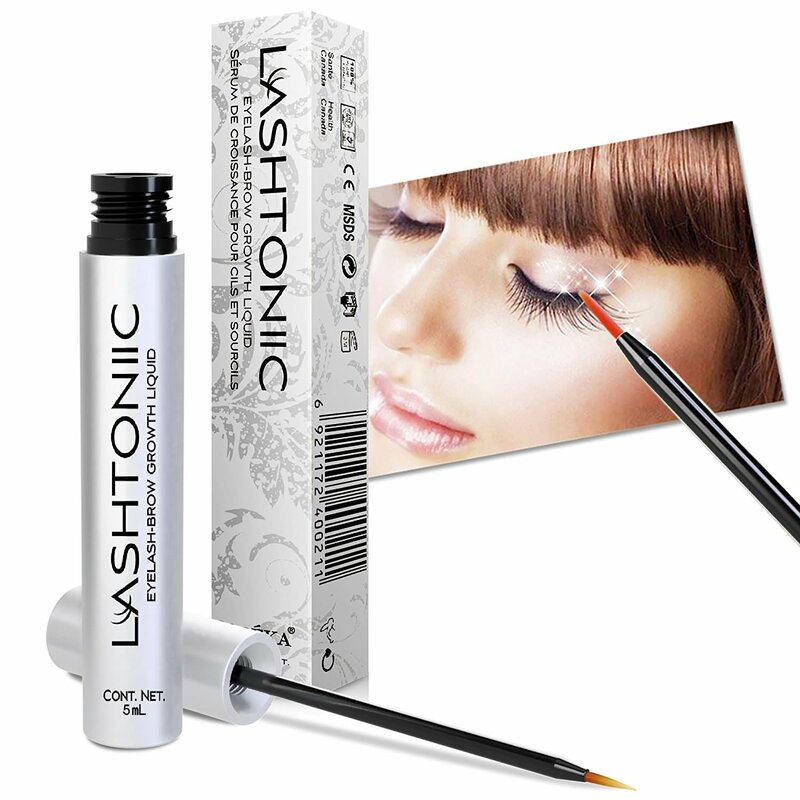 The tube is fitted with a chrome label and printed with the name, "Lashtoniic Lash and Brow Serum". It is available in two sizes: 5 mL or 6 mL. It comes with a thin synthetic fiber brush-tip applicator, much like that of a liquid eyeliner, and is supposed to be applied directly along the lashline, much the same way as liquid eyeliner is applied. It comes in a small cardboard box printed again with the name, but it distinctly lacks an ingredients label. It is sold on Amazon.com by AsaVea for $24.99 USD. 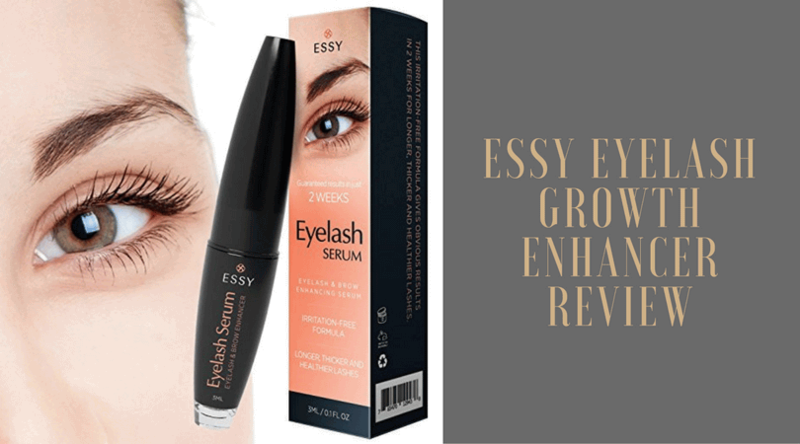 Essy Beauty claims on their Amazon listing that in a clinical trial, participants who used Lashtoniic serum every day for two weeks reported up to a 20% increase in lash growth. After 6 weeks of constant, every day, that number has gone up to 55% growth. They also claim to use all natural ingredients, despite not sharing the ingredients list with potential consumers on Amazon, AsaVea, or any other website for that matter. They claim that their formula is specifically made to be "completely safe," gentle, and non-irritating. This is a faulty claim, disproven by the multiple photos posted by verified paying customers who experienced severe eye irritation after using this product. The Amazon listing also touts the use of "Polygonum Multiflorum Extract." Also called P. Multiflorum, this extract is used in East Asia and has been found in scientific studies to promote hair growth. As previously stated, a full ingredients list is not available anywhere online. This is a major red flag, especially for medicinal beauty products. This product is classified as a beauty product, and beauty products are not regulated by the FDA for harmful ingredients or allergic reactions. It claims to use only natural ingredients, so why not share the ingredients list? Though the brand claims complete safety and gentleness, there are many accounts of people having allergic reactions or irritation from the product either getting in their eyes or being near their eyes. 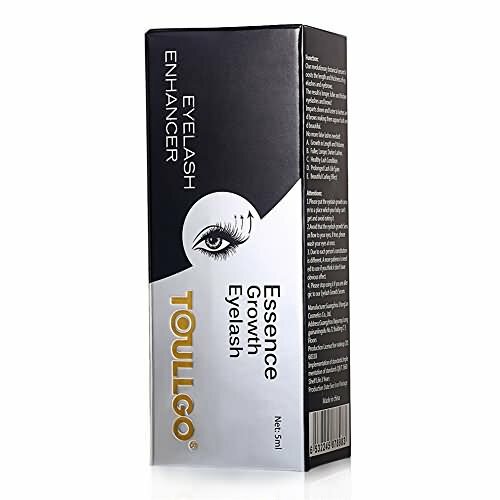 This product is made for use specifically on the eyelid and lashline, so for it to have caused such a severe reaction when it came in contact with the customer's eye is another red flag. Essy Beauty also does not provide a website or any other way to get in touch with them concerning their product. 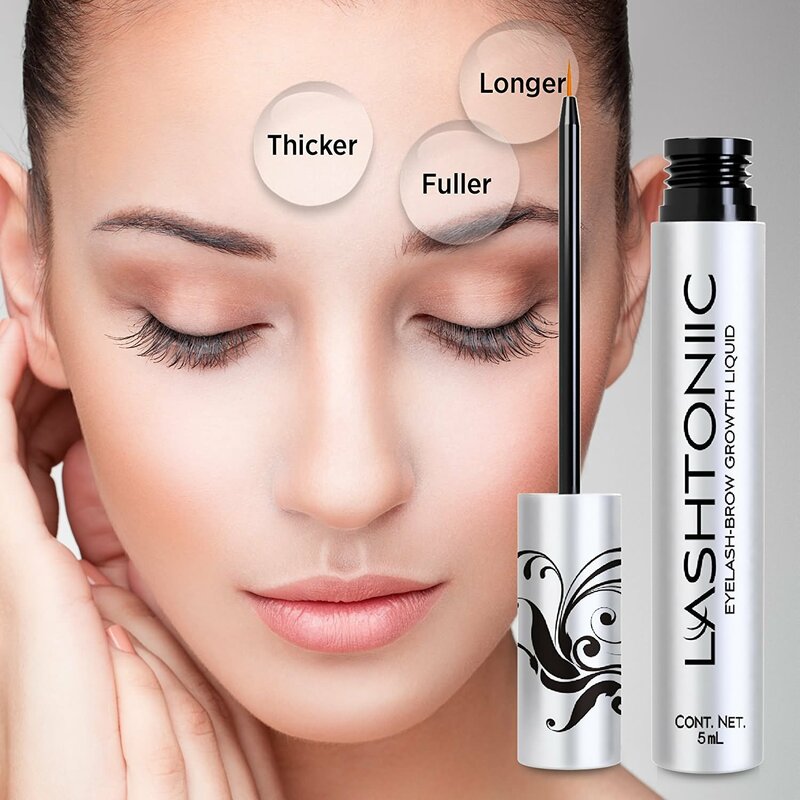 Lashtoniic serum is not a well-known and widely available product. It can be found on Amazon, but very little unbiased information is available to consumers about the safety of the product. The very few unbiased reviews I found all report some level of eye irritation after using the product, ranging from mild stinging to severe irritation, swelling, and pain. Not only is there a chance of damaging your eyes permanently, but if you do not use the product every single day, the results will fade after a while. It takes between 1 and 6 months for eyelashes to regrow a completely new set, so you will not see immediate results. The risk of putting your vision and eye health in jeopardy is not worth the price. Thin and light eyelashes can be the reason your eyes look dull and not as bright as they should. Luckily, topical medicines can help you get your eyelashes back by making them bigger and fuller. The good news is that you can also make them look full by the application of mascara. If you have lost your eyelashes distressingly, you have to contact your specialist. There are some restorative conditions and medications can bring about the sudden loss of eyelash. The primary issue may be dealt with before healthy eyelash development can continue. Loss of eyelashes can occur for various reasons, some ordinary and somewhere in the range of an indication of genuine medical issues. It is typical for maybe a couple of lashes to drop out every day, because your hair is always reestablishing, yet they should likewise develop back after some time. 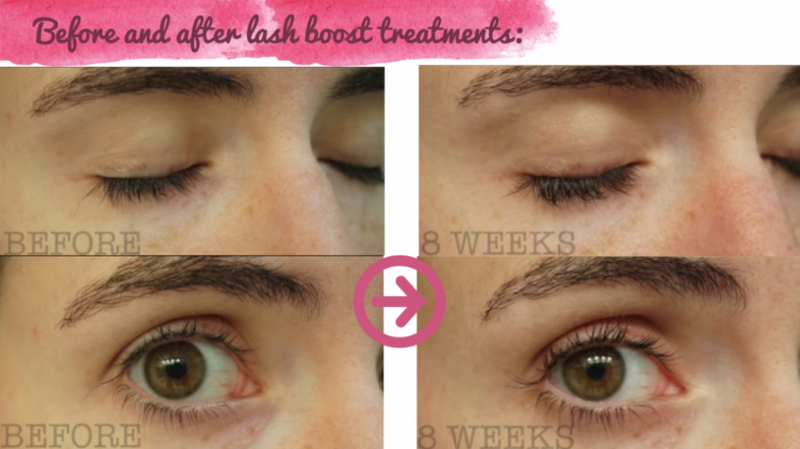 It is the regular lash cycle, so you do not have to worry. If not, you might need to counsel with a specialist regarding why the lose of eyelashes at an unbalanced rate. However, there are some things you carry out to guarantee that your eyelashes become back rightfully, for example, changing your cosmetics routine and keeping your face spotless and free of eyelash vermin or an excess of skin microbes which are regularly the reason for a few lashes being lost. You must eat a well-balanced diet. Your dietary needs should be a hair-friendly diet that supports its growth. Include a lot of vegetables, natural products, and whole grains and proteins. If you are eating a primarily constrained eating regimen, this can affect hair development and wellbeing. Not getting enough vitamin D1, vitamin A2, and protein can bring about or baldness. Eat an all-around adjusted eating routine with an extensive variety of nourishments so as to ensure that your body has what it requires to make healthy hair. Nutritious food includes fortified cereals, kale, broccoli, spinach, milk, carrots, fish, and nuts. Incredibly, one of the best home cures and tips to make your eyelashes develop longer is a regular application of Castor oil. While many people face hair growth issues on their head, after applying to their scalp, the increase in the height of their hair increases a lot. That is something everyone loves because it is more efficient than any other hair oil such as coconut oil. Before you go to sleep, add some castor oil in the eyelashes but not in excess amount. In that way, you can protect the inside of the eyes while taking care of the eyelashes. Do not miss the intake of a multivitamin supplement on a daily basis. If you are not acquiring sufficient nutrients for proper hair growth from food sources, take a daily multivitamin. These vitamins help to increase the growth of hair in the best possible manner. If you know the reason for your eyelash loss was from something like chemo or hormone issues, don’t stress over this. Be that as it may, if your loss were unexplained, you would need to abstain from wearing cosmetics around your eyes. There are two explanations behind this. Cosmetics can cause the build-up of microbes that stop the eyelash from growing. Another reason is that a few people are sensitive to the fixings in cosmetics and this make has bothered your skin enough to bring hairlessness. Wash it off every night if you wear makeup. It will not allow your eyelashes to get irritated. Swap out daily use mascara for one with a lash conditioner. Search some new generation mascaras that have lash conditioners or a unique lipid compound that increases lash growth while you are wearing it. Not all mascaras are of high-quality. You can do this very little to make your lashes grow longer. The best bet will be to keep the eyelashes growing longer, and that means your importance is on maintenance and prevention. You will need to maintain the growth of your eyelashes once it reaches to normal. Another very useful and stimulating tip is to rub your eyelashes and eyelids to help them grow stronger, lengthier and sooner. It can result in the increased hair growth. If the massage is done on a regular basis, a real and prominent difference will be seen in your lashes very soon. Just not be rough while massaging keep it simple and soft. Inappropriate and frequent use of an eyelash curler can coincidentally haul out your eyelashes, particularly if the hair is as of now weak. Try not to utilize your eyelash curler for a little while and check whether this keeps your eyelashes set up. Be gentle with them. There is a fundamental issue, like OCD, in which individuals feel constrained to pull their hair. Most of the sufferers simply pull the hair on their head, yet some additionally pull their eyelashes or eyebrows. This issue is called “trichotillomania.” In case that you think you may have this, speak with an expert. There are drugs and behavioral traps which can help you stop and feel more casual. Regardless of the possibility that you don’t think you have this issue, it is best not to pull your hairs out for any cause. If you see that you cannot stop, you may have trichotillomania. If the problem is continuous, you must ask your doctor. Loss of the eyelash is typical but some case it is not because an excessive loss of eyelash shows that person has some serious health issues. Some of them can be very dangerous such as thyroid problem. Due to all these possibilities, it is best to consult a good doctor if the problem occurs over and over again. Coconut Oil for Eyelash Growth. Does it help? For women with short lashes, it might seem like you are cursed to wearing mascara or fake eyelashes just to get your eyelashes noticed. But mascara and fake eyelashes both contain chemicals and adhesives that might damage the natural eyelashes or cause irritation over time. There is a possible natural way to get naturally long lashes: coconut oil. Who is it that is so NUTS for CocoNUTS? 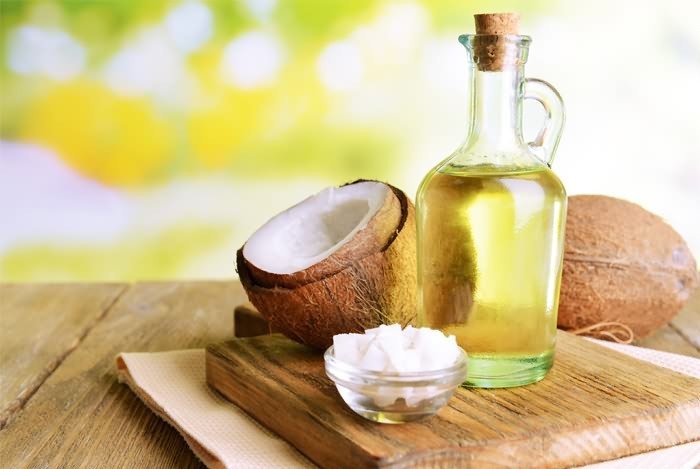 In 2004, Bruce Fife wrote The Coconut Oil Miracle, which argues that coconut oil can cure all manner of ailments, from heart disease to obesity to problems with skin and hair care. 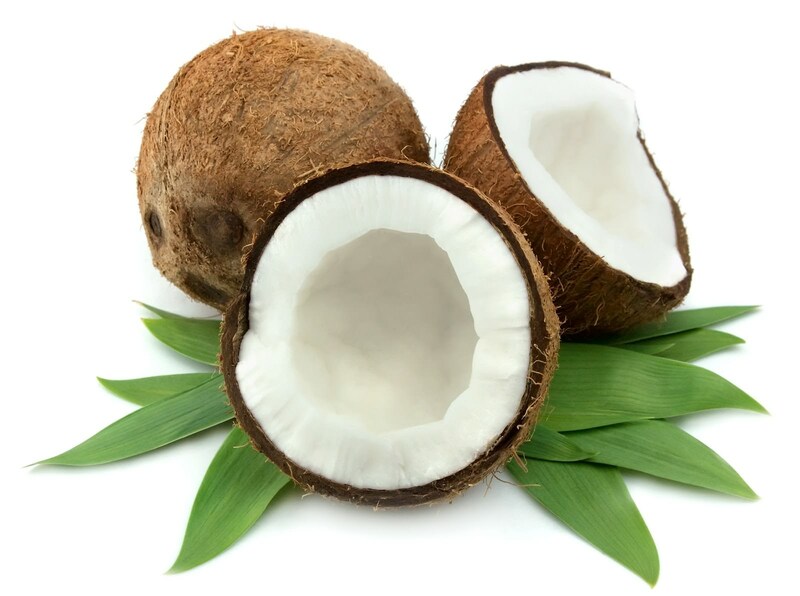 According to The Coconut Oil Miracle, using coconut oil on hair results in “soft and shimmering” hair. While this book does not discuss eyelashes, its claims have led to a series of other people looking for uses for coconut oil. Many credible sources claim that coconut oil is an all natural way to grow longer lashes. For example, Good Health Academy argues that the natural fatty acids in coconut oil will cause fewer eyelashes to fall out, as well as thickening and lengthening all the lashes. The benefits they list are numerous: fighting dandruff, fighting fungal infections, moisturizing and softening your eyelashes, and not damaging the eye the way chemical lengtheners do. According to Bustle, coconut oil “is perfect for strengthening and hydrating your lashes.” The online women’s magazine promises that, over time, coconut oil will give you natural, fluffy lashes – no “falsies” required. The Health Extremist agrees with Bustle’s claim, although this article emphasizes the impact of lavender. She cites this study, which showed that 44% of participants had more hair growth than the control group when they were applying essential lavender oils. 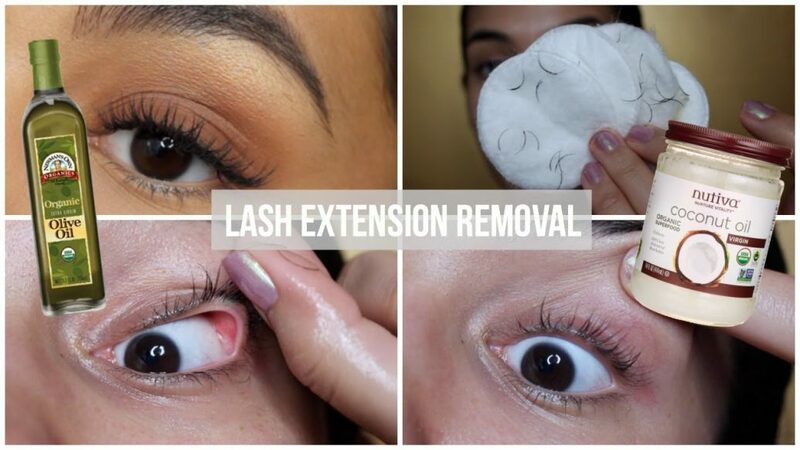 Her DIY “Eyelash growth boosting recipe” receives many positive comments, and she claims that there will be growth. Is it the coconut oil that helps, or the massage? However, one other method for longer eyelashes recommended by the Health Extremist is to simply massage the eyelids. This increases blood flow, which stimulates hair growth. On a similar note, Natural Beauty Tips claim that massaging the eyelids increases blood flow, so more nutrients reach the lashes. 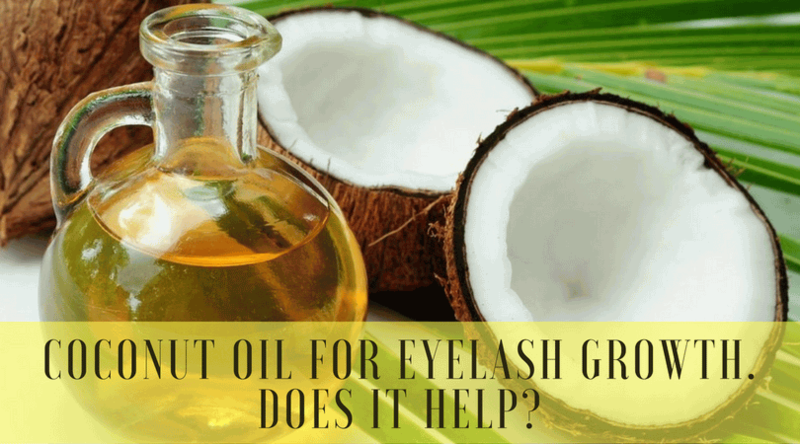 Specifically, they claim this “prevents thinning and breakage of your lashes.” So it is possible that coconut oil by itself isn’t the cure all some people claim it is, but the action of rubbing it on your eyelashes causes an inadvertent massage. 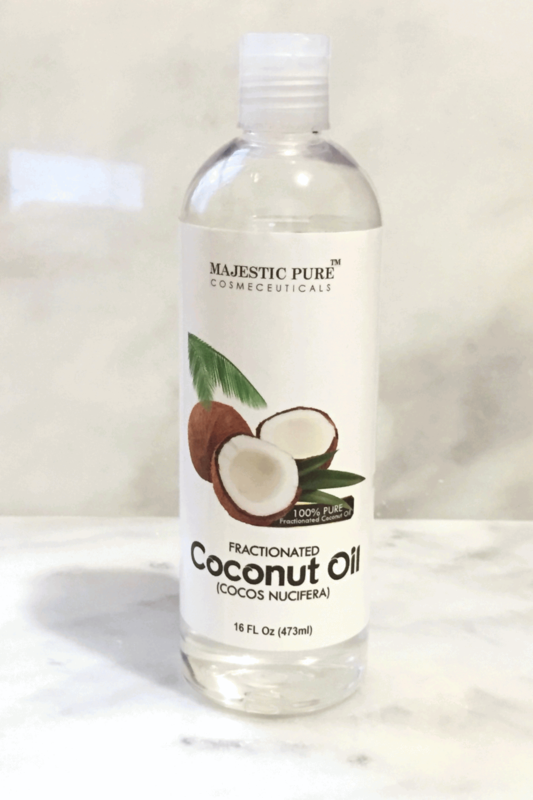 Natural Beauty Tips recommends using coconut oil in your massage – perhaps this combination of methods is what will work best. However, Dr. Mercola does recommend applying coconut oil! 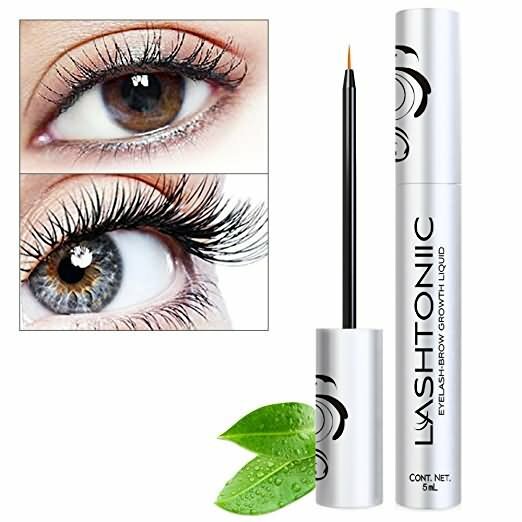 He writes that its natural properties can help give eyelashes strength and thickness, and that they are much better than toxic, manmade mascaras. Other doctors argue that slightly longer lashes are good for the health of your eyes. Dr. Hu, the senior author of a scientific paper on eyelashes, explains that longer lashes reduce air flow, which keeps the eye moist and keeps particles away from the eye more effectively. So is this all a yes, or a no? Basically, there is no harm in using coconut oil on your lashes, and many people have success stories from applying coconut oil every night. Applying coconut oil should help keep your lashes moist and strong, and if nothing else, massaging the oil into the skin around the lashes should provide some tangible benefits. Longer lashes are possible with perfectly natural remedies, so try some coconut oil or a massage before you go for the chemicals.